Periodontal disease is caused by those who do not wash their teeth as often as they wish. This is the reason that this is mainly due to the poor condition of the patient’s dental care. 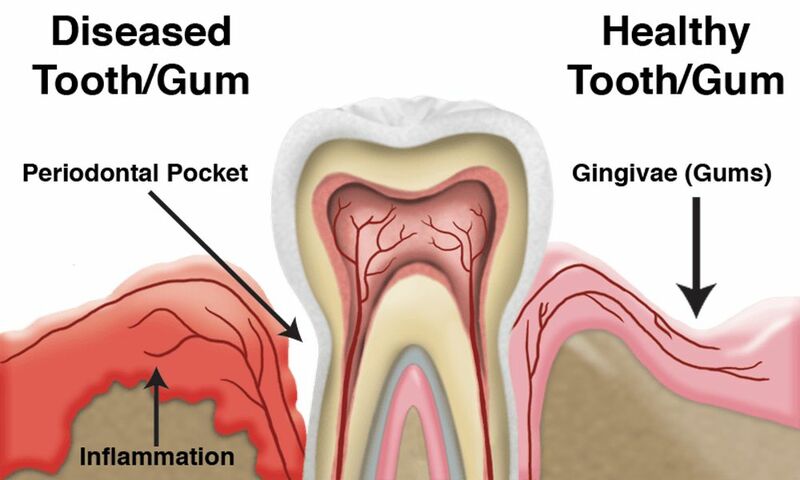 Gingivitis is the first stage of gum disease, and if this happens, you bleed while brushing your teeth. This is because gums are swollen and red. Periodontal Disease (gum disease) is a Silent Killer. Most adults have periodontal infections. It causes more tooth loss than cavities. More importantly, periodontal disease is a major risk factor for over 20 systemic diseases, including heart disease, diabetes and other life-threatening illnesses.